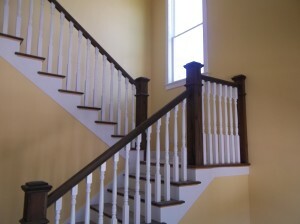 Custom Stairs, staircases, tread and spindles, handrails, Tampa, St. Pete, and Clearwater. 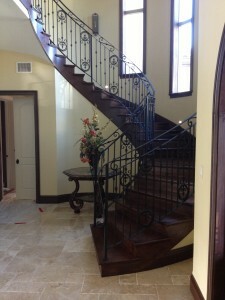 If you live in the Tampa Bay Area our custom staircase will become the focal point of your home. Few things add as much value, beauty and character to a home as a handsomely, crafted staircase. Whether your project is a restoration or new home construction, Gloger Construction specializes in unique one of a kind stairs. We build each custom staircase based on your design ideas or we can help you to design the perfect stairs for your home. Whether your taste is wood, wrought iron, curved or straight stairs, we’ll build a timeless piece that will satisfy not only your taste but your budget as well. 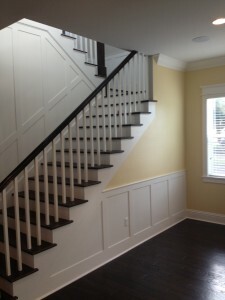 We build stairs suitable for any style of home, from Key West bungalow to modern contemporary. 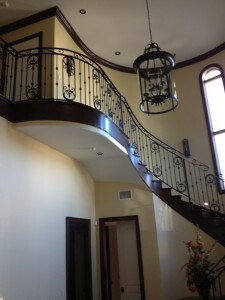 We also offer full radius stairs and any type of bending rail. We’ll be happy to assist you with the selection of materials, the layout and design so let us help you create the beautiful staircase that you’ve always dreamed of, contact us today.